We love our Rescue Dog of the Week program as it gives these wonderful dogs at better chance of being seen and ultimately adopted into loving homes. Here are our adopted dogs from 2011. Join us in congratulating these dogs and their new families! Remember Lollie Wonderdog? Lollie, fostered through Love and a Six-Foot Leash, was found in a dumpster, discarded like trash. Lollie, now Lily Fireworks, spends her time running with her new mom, playing with her human kids, and getting serenaded by her dad. 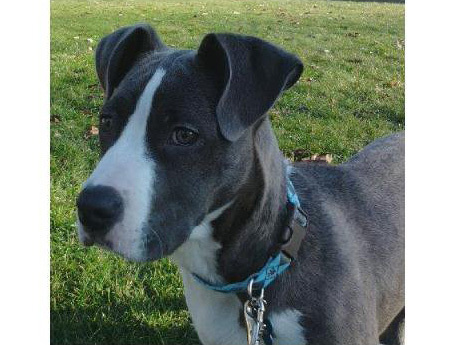 Mabel, from Pitty Love Rescue, was found in a crate next to a dumpster in the middle of winter when temperatures were in the teens. 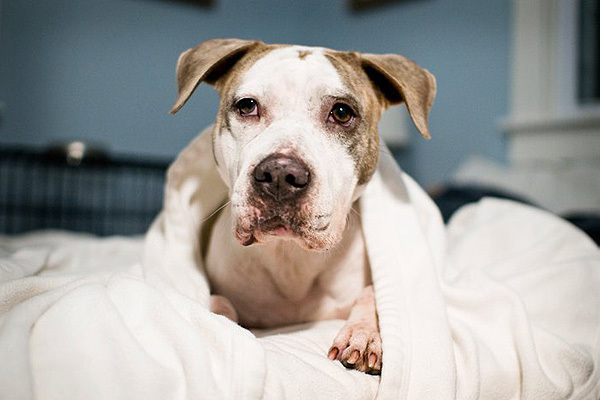 Embracing the resilient spirit of pit bulls, Mabel soon put her past behind her as found her forever home. 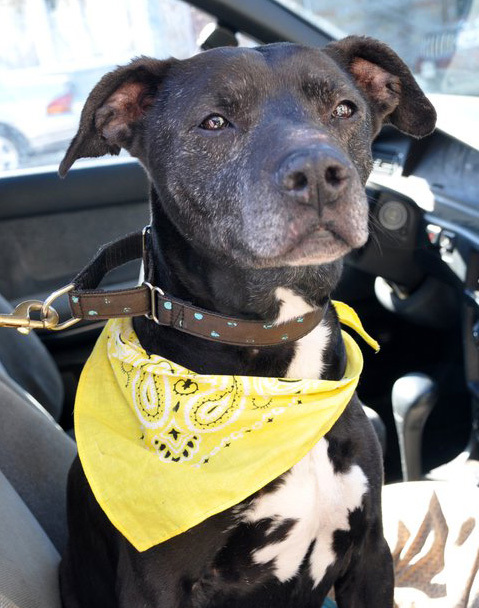 Smudge, from New Leash on Life, was one of hundreds of dogs rescued from a hoarding situation. Silly Smudge with her snorting sounds and snuggling capabilities soon was adopted! Cash, the adorable light blue and fawn brindle was abandoned at the vet’s office when he was only 8 weeks old. 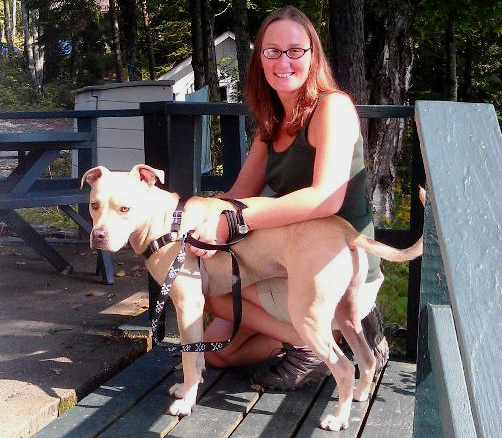 Thanks to Power Breed Rescue, Cash was adopted this summer and is doing great. On Valentine’s Day, Chicken Dumpling found her true love! 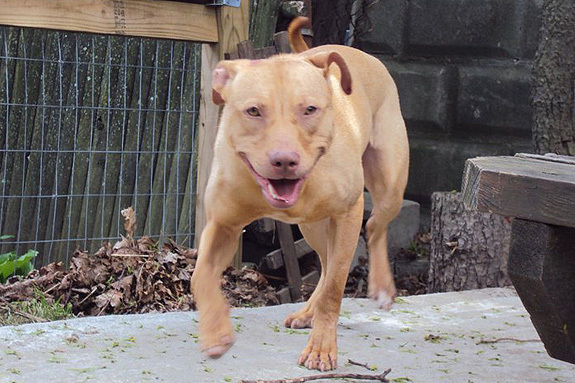 Chicken Dumpling is now living every dog’s dream as she has a home on a farm with a family who adores her. 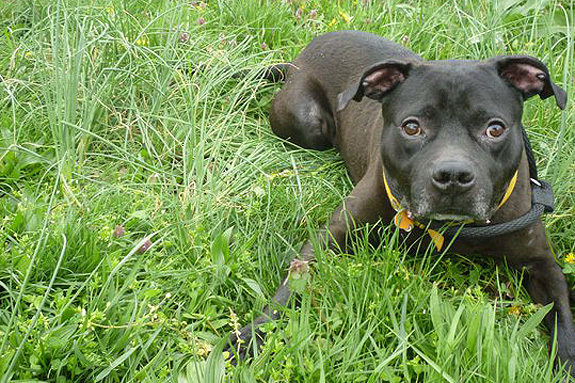 Chicken Dumpling waited for months in the shelter and in foster care, eventually becoming PAWS ‘ longest-term canine resident. Way to go PAWS! 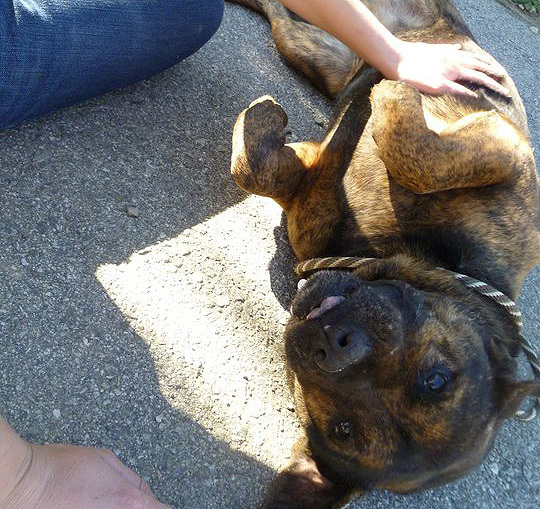 Chelsey, another alumni from PAWS, was abandoned at the shelter by her owners. 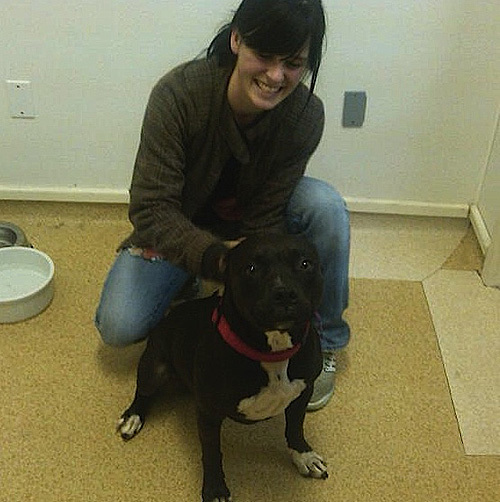 The day Chelsey got adopted, she was so busy wiggle-dancing and trying to kiss her new Mom that staff at PAWS could barely get her to pose for a picture! Rossy was found near a grocery store in January by Mutts 4 Rescue. This handsome guy found his forever home in March and now spends his days swimming with his dad and getting love from his mom. Cassie wanted nothing more than a lap to cuddle in, especially after playtime. Thanks to Black Dog, Second Chance Rescue, Cassie was able to find a family and is doing very well, resting comfortably in her new family’s lap. 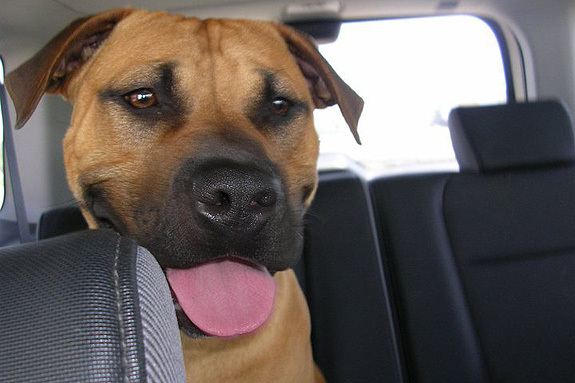 Trooper was saved from teenagers who were mistreating him. Once he was rescued, his Angel learned that Trooper loved car rides, trips to McDonald’s, play fetch, and gallop around like a horse! With all these great qualities, it’s no surprise that Trooper found his adoptive home. 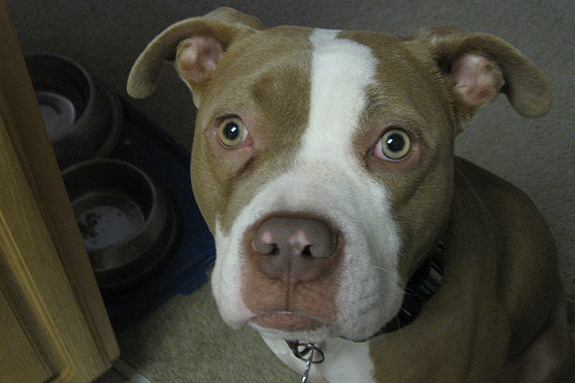 Bob, the adorable Elderbull, was sadly left homeless when his owner passed away suddenly in early February. Thanks to the hard-working volunteers from Jasmine’s House Bob finally found his retirement home and was happily adopted. Betsy’s former foster mom said this about Betsy, “I want to hold her until everything in her past melts away and she knows she matters, and is finally loved.” Thanks to Handsome Dan’s Rescue and Providence Animal Care and Control, Betsy finally feels the love she has deserved her whole life. Velma , from Red Desert Humane Society, greeted everyone and everything with her body in full wiggle mode. 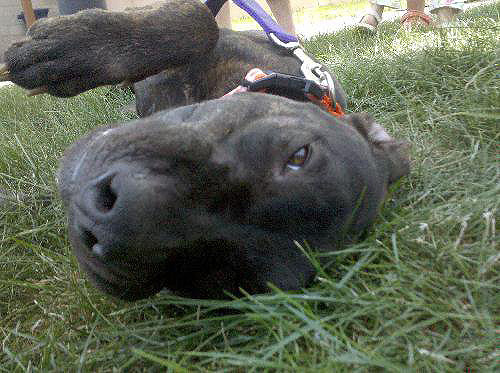 Velma with her zest for life wiggled right into a forever home where she is doing great! 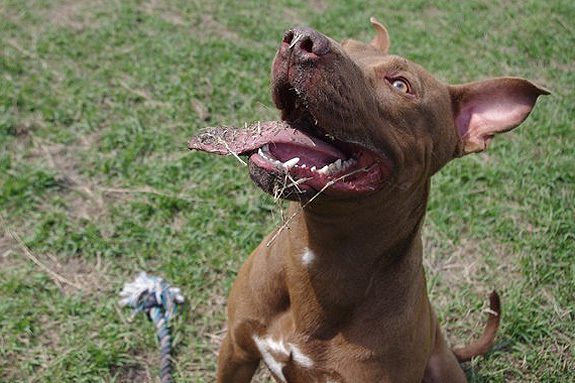 Ace, with his athleticism and love of toys, not to mention his rugged good looks, melted hearts of the volunteers at Alachua County Animal Services. 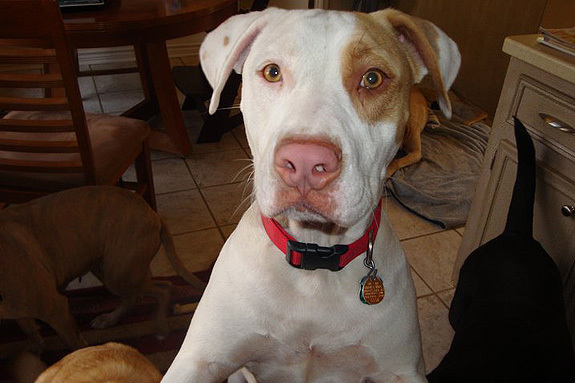 With all of these great qualities, Ace was able to find his forever home. Sweet, playful Boca, from the Yolo County SPCA, waited 16 months for a home, two months in the shelter and 14 months in her foster home. Each day, Boca patiently waited for her forever home. In June all of her waiting paid off. Now she is quite spoiled and loved by her new family. 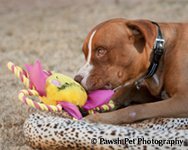 When we met Angel, he just wanted to play ball, run, and toss his toys in the air. He was looking for a foster or forever family. Well, thanks to Friends for Life, his foster family became his forever family! Swan, from Corridor Rescue Inc., despite her past, never held a grudge. She loved to make new friends, acting as an unabashed flirt, coyly lifting a paw to solicit affection from people. 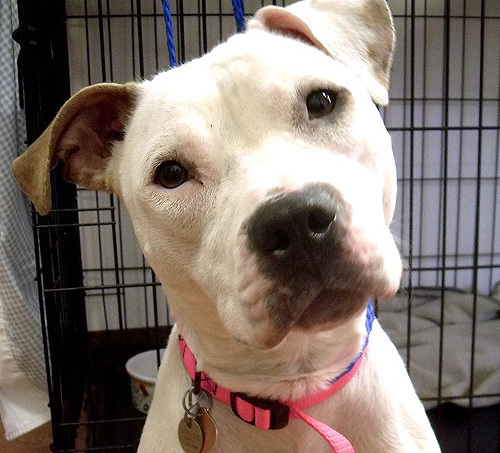 With her flirty manners and good behavior, she found her forever home. 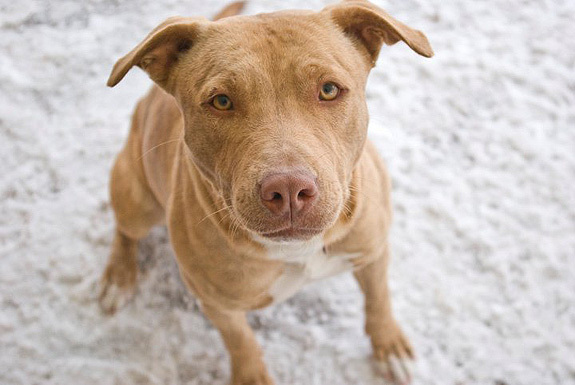 Ginger, known as Ginga’ the Ninja, loved to play in the snow and leap through the air chasing her toys. 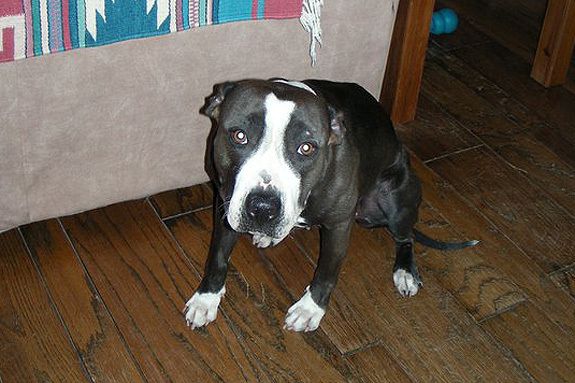 Thanks to North Texas Bully Rescue, Ginger was adopted! Vinny is as sweet as they come! 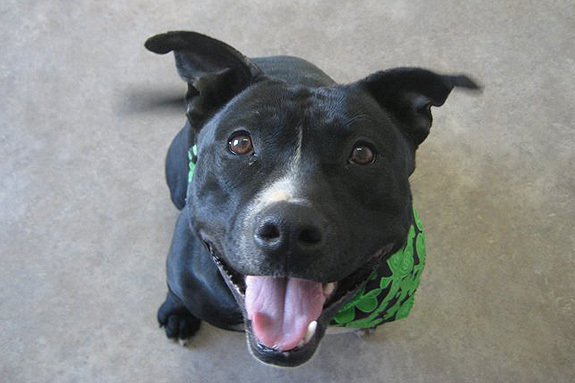 This goofy, fun- loving boy was a favorite of Lilo’s Promise Animal Rescue. After waiting for several months for the right family, Vinny was adopted. 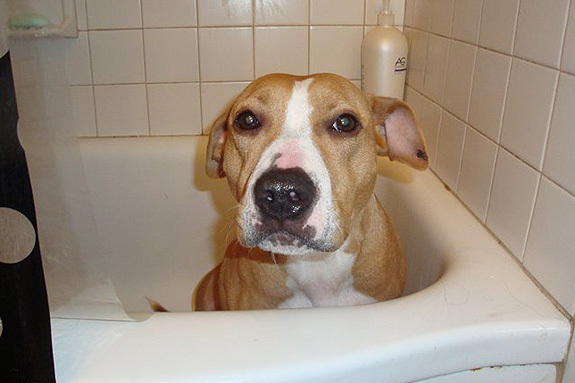 Sadly, Kermit was born in the world of dog fighting; a world of neglect and cruelty. Even though Kermit had been through unimaginable abuse, but all he wanted to do was curl up with his person and be loved. 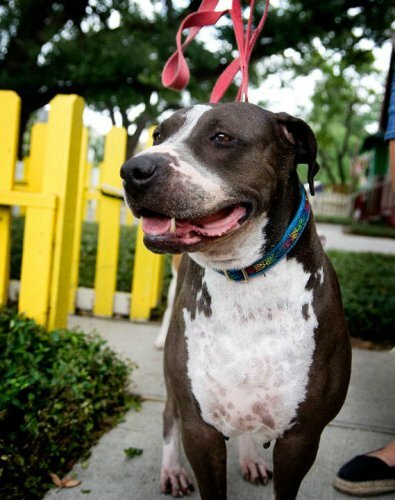 Thanks to Handsome Dan’s Rescue for Pit Bull Type Dogs, Kermit was given a new life! Ranger, from Pets Are for Life, had quite a story to tell! After many adventures, Ranger found himself in the shelter, waiting for a home. Happily he found one! Pepper was found roaming the streets of Las Vegas. Thanks Peace Love and Pit Bulls this sweet little girl is no longer roaming the streets, and is now home! WONDERFUL stories to start this day off right!! I love happy endings!! I love all the stories on your site and especially love hearing about these adorable and adoptable dogs! So glad that they all found their furever homes. Every home should have a sweet pibble. @loralothringer We think so too! I see Bob quite often and he is living the life!! @BaltimoreGal Yay! so happy to hear that, thanks for sharing! I am so happy to hear that all these dogs found homes! I especially was happy to hear about Ranger as I had donated a small bit for his boarding expenses- I’m so happy that he found a home! I had wondered about him. Great updates! Love seeing all these great faces and knowing they are all safe and happy now, and I am especially happy to see our boy Ace, with his big ol’ grassy tongue and enormous smile. 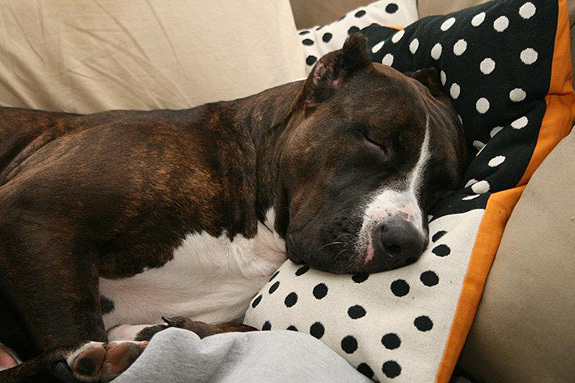 He was lucky enough to find a great home — I’m sure the StubbyDog magic helped. 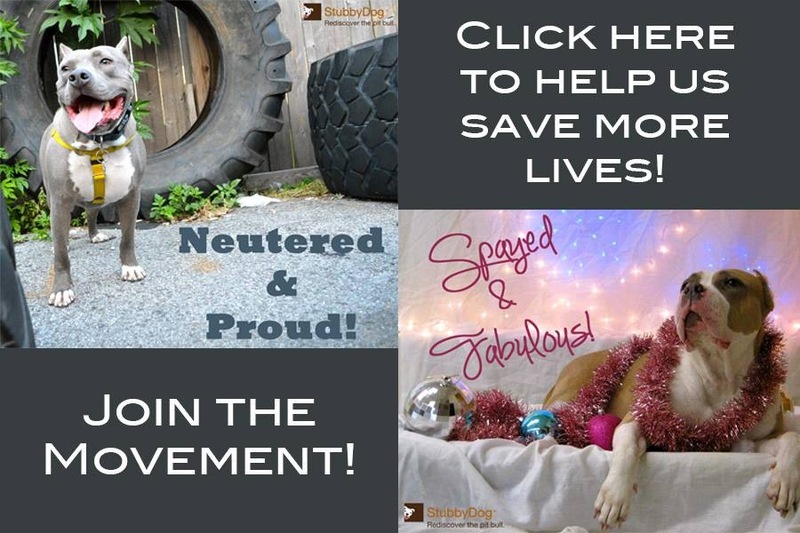 @ThunderVasquez-Peterson Hee hee…we are humbled if we played a part in any of these adoptions.